Looking for the best shocks available in the market? Then you might want to consider getting GAZ shocks. This extensive range of shocks is designed to take care of your needs whenever you are on the road. Hand built to the highest standards, these units are now available for purchase. The manufacturer uses the best quality materials, meaning that you get superior shocks to add to your vehicle. Therefore, if your current car shocks are not working properly, your best option would be to turn to GAZ. The new shocks will improve your driving experience, ensure that you are safe on the road, and add to your car’s longevity. 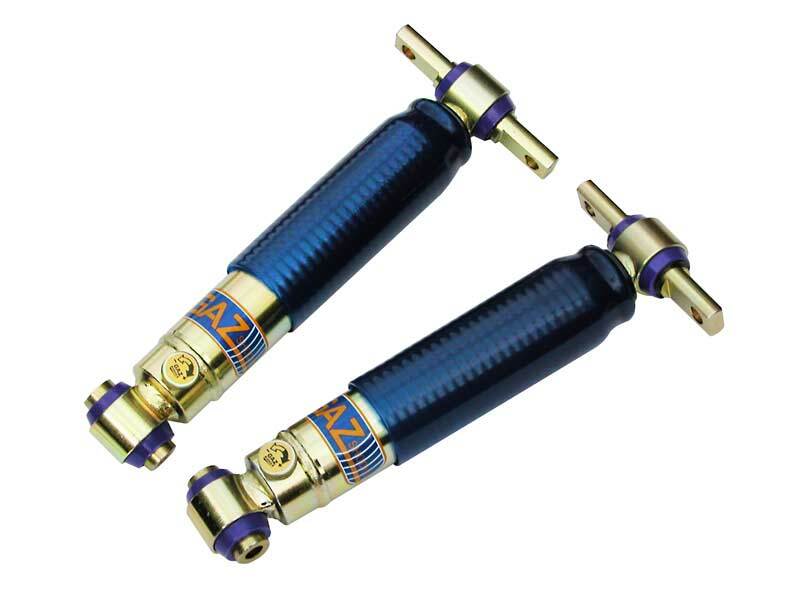 Benefits: There is a wide range of GAZ shocks available, all of which come with adjustable damper rates You can get ride height adjustable versions within this range You get to choose between shock absorbers with coilover springs, and those without Complete shock absorber and spring suspension kits in GAZ Gold and GAZ Gha versions GAZ GHA is intended for use in modified cars while GAZ Gold includes premium-height adjustable kits for serious track day and tarmac motorsport enthusiasts For camber adjustment, consider getting GAZ allow camber top mounts GAZ shocks rank among the best in the market today. In terms of flexibility, they come with easy multi-point adjustment systems for easier fine tuning. Therefore, you don’t need to remove the shocks whenever you need to adjust it. In the same way, these shocks are reliable. GAZ fully tests each unit to ensure that none leaves the factory without a dynometer report. The revolutionary design is also worth noting. This is because it includes a double lip seal and a stem seal at the piston rod to produce shocks with unrivalled performance both on- and off-road. All GAZ products, including these shocks are made to ISO 9000, and ISO 9001 and TÜV standards. Therefore, you can depend on the quality of the GAZ shocks. The manufacturer, in particular, understands all aspects of damping technology. This is why the shock absorbers are able to strike the perfect balance between performance road holding and comfort. Please give us a call at 888-968-5005 for more information. Thank you!